American legacy firms are amazing. I have written posts on a bunch of them. Hart Schaffner Marx, Allen Edmonds, Wigwam, Crane and Lamson Goodnow to name a few. Well I just found out about another member of this elite club of American manufacturers. Hardwick Clothes. 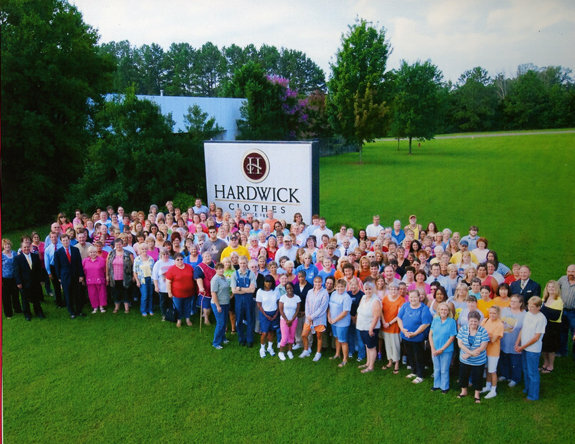 Hardwick Clothes has been making amazing blazers, sports coats, pants and suits in Cleveland, Tennessee for almost 135 years. The company, which was originally named Cleveland Woolen Mills, was founded by local businessman C.L. Hardwick. Hardwick was a big wheel in Cleveland, so he put his son, George L. Hardwick, in charge of running the mill. In 1925, Cleveland Woolen Mills became Hardwick Woolen Mills. Hardwick Woolen Mills was vertically integrated. Hardwick employees at one end of the factory wove the wool yarn while Hardwick employees at the other end of the factory cut and sewed the firm’s wide range of garments. And what a killer motto Hardwick came up with: “From the sheep’s back to the clothing rack.” Nice. After struggling through the depression, Hardwick Woolen Mills came roaring back in the 1940s and did their bit in WWII, manufacturing uniforms for our men serving in the armed forces. As American men began their love affair with cheap suits sewn in the Middle Kingdom and other dreary third world locales in the 1980s, Hardwick’s fortunes began to suffer. Eventually, the Hopper family, who at that time owned Hardwick Clothes, was forced to seek bankruptcy protection in 2013. But from that nadir, Hardwick Clothes has rallied in an impressive manner. Three months ago, Cleveland, Tn., entrepreneur Allan Jones acquired Hardwick Clothes. Jones shrugged off the thought that the bankruptcy process would hold Hardwick back, noting that “Hardwick has been through two fires, two World Wars, the Great Depression, and leisure suits.” Under Jones leadership, Hardwick is on the rebound. The firm launched a new website and brought in Bruce Bellusci as Hardwick’s new chief operating office and Jeffery Diduch as Hardwick’s new clothing designer. Both Bellusci and Diduch had formerly worked at Hart Schaffner Marx. Hardwick’s clothing looks really impressive. 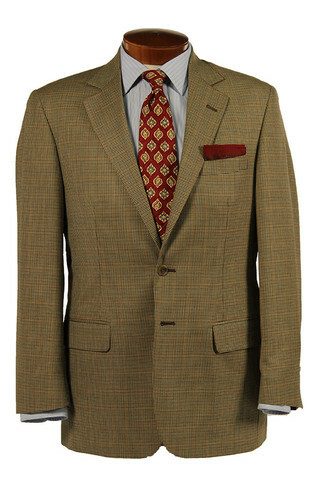 I might have to snag a Hardwick Bristol sports coat; it looks very snazzy. 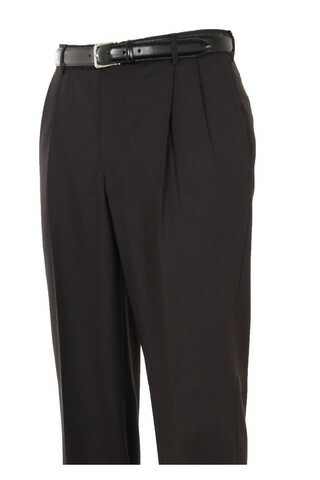 Also on my wishlist are several pairs of Hardwick’s Parker Men’s Pants in Tropical Wool. They are available in navy, charcoal, black, British tan, and olive. I am not aware of any other American firm making wool dress pants that aren’t the lower part of a suit. Pretty nice don’t you think? So I urge you, the next time you need new slacks, blazers or a new suit, head to Hardwick’s website and make your purchase. It will be a twofer. You will get a handsome, handmade product that will make you look sharp and will give you years of wear. And you will provide employment for the wonderful members of our extended American family working at the Hardwick facility in Cleveland, Tennessee. What could be better than that? This entry was posted in Apparel, Men's Wear and tagged American made products, Hardwick Clothes, Hardwick Clothing, Hardwick suits, Made in America, made in america apparel, Made in America clothing, made in america products, Made in the US, Made in the USA, Made in the USA products, made in usa, Made in USA products. Bookmark the permalink.